analytica Anacon India and India Lab Expo 2017 witnessed a grand opening on the first day of its 10th edition at HITEX Exhibition Center, Hyderabad. The three-day trade fair is the leading exhibition for the laboratory technology, analysis, biotechnology and the diagnostics market. Every year it brings together national and international exhibitors, consultants, business experts and key government officials under one roof to discuss the best global practices and seek solutions to some of the most imperative challenges related to the industry. The trade fair was inaugurated by Dr. Ashes Ganguly—President IAIA, Dr. Amit Biswas, Executive Vice President—IPDO, Dr. Reddy’s Laboratories and Mr. Bhupinder Singh, CEO, Messe Muenchen India at the analytica Anacon India Conference. The visitors explored the latest solutions displayed by 259 exhibitors from 11 countries. Indian Analytical Instruments Association in partnership with Messe Muenchen India organized analytica Anacon India Conference which brought together four industry specific topics on the first day. The conferences covered various topics like Audits and Regulatory Affairs, Data Integrity, Extractable, Leachable and Emerging Technologies for Pharmaceutical Laboratories. The delegates graced the knowledge sharing conference which had prominent speakers, scientists and industry experts. The conferences will also be conducted on day two of the trade fair. The highlight of the day one was workshop ‘Practice-orientated seminar for laboratory users—Introduction to the laboratory’ and addressed by Mr. Christian Lipok, Faculty of Chemistry, University Duisburg-Essen. The workshop combined presentation and a practical session for lab practitioners. It offered an overview of important methods of working in a laboratory. It will continue to be one of the most important activities to look forward to on day two as well. The Live Lab demonstrations for ‘Food & Pharma Analysis’ educated attendees on the practical applications of laboratory instruments and raised immense interest. Visitors will continue to experience Live Lab on the coming two days. The third edition of Buyer-Seller Forum reported strong participation with face-to-face meetings on day one alone. The next two days are expected to bring in additional face-to-face meetings for exhibitors and visitors. 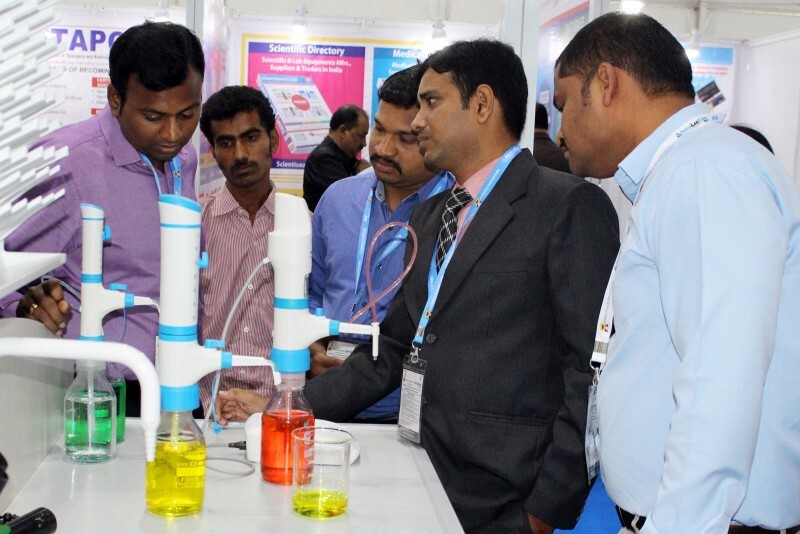 Analytica Anacon India and India Lab Expo continues to highlight the huge potential in Indian Laboratory technology, analysis and biotechnology market. To stay connected with the market needs, Messe Muenchen India launched the market research report during the conference which highlighted high growth trends predicted for the future.